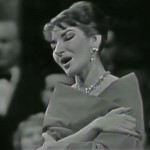 Maria Callas sings “Casta Diva” from Norma, Bellini. Maria Callas sings “Casta Diva” from Norma, Vincenzo Bellini’s 1831 opera in two acts. Paris, 1958. The opera is regarded as a leading example of the bel canto genre and a major soprano aria, “Casta diva”, in act 1, is one of the most famous of the nineteenth century. A notable Norma of the post-war period was Maria Callas. 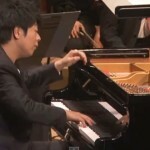 Fazıl Say performs George Gershwin’s Rhapsody in Blue. Turkish pianist Fazıl Say performs George Gershwin’s Rhapsody in Blue, a 1924 musical composition for solo piano and jazz band, which combines elements of classical music with jazz-influenced effects. 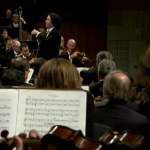 hr-Sinfonieorchester (Frankfurt Radio Symphony Orchestra) conducted by Miguel Prieto. Alte Oper Frankfurt, January 18 2013. Probably the best loved classical ballet, Pyotr Ilyich Tchaikovsky’s “Swan Lake” Op. 20. It tells the story of Odette, a princess turned into a swan by an evil sorcerer’s curse. Here the naturally gifted Russian ballet dancer Yulia Makhalina dances the challenging role of Odette/Odile while the part of Prince Siegfried is danced by Igor Zelensky. This classic Kirov production includes the familiar happy ending in the final act where Siegfried fights and ultimately defeats the evil magician von Rothbart and at dawn is reunited with Odette. Artistic director: Oleg Vinogradov. Italian classical pianist Maurizio Pollini plays Chopin nocturnes, 21 short pieces for solo piano written by Frédéric Chopin between 1827 and 1846. One of the best flamenco guitarists ever, Spanish flamenco guitarist Paco de Lucia plays Zequinha de Abreu’s “Tico Tico”, the best known work of the Brasilian composer. Because of the lack of written tradition, Tico-Tico is played in various melodic versions all over the world. Hungarian Symphony Orchestra Budapest plays Johannes Brahms’ Hungarian Dance No.5 at the Wiener Musikverein, Austria. 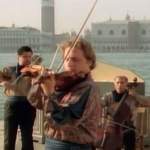 Vivaldi and the beautiful Venice. These great videos of Vivaldi’s Four Seasons are probably some of the best classical music performances on the Internet. Enjoy. The videos are from the DVD named “I Musici”, a film by Anton van Munster.